Jessica is in her fifth year at Slaughter and May where she practises as a competition lawyer. She has just returned to the firm after a year on secondment at Google. Practising in London means, "increased exposure to high profile clients, the opportunity to work on deals and enforcement activity that make headlines worldwide, and the chance to be part of diverse teams made up of lawyers from across the world." Top students 2009, where are they now - Stellenbosch University STUDENT FEATURE - So you want to be a lawyer? Silke is a lecturer in the department of Mercantile Law at Stellenbosch University and comments on practice versus academia, "In terms of comparing practice to academia,I prefer to serve students instead of clients. Lenja says, "The most satisfying aspect of being at one of the big SA law firms is working with and being trained by some of the country's best legal minds and thought leaders." 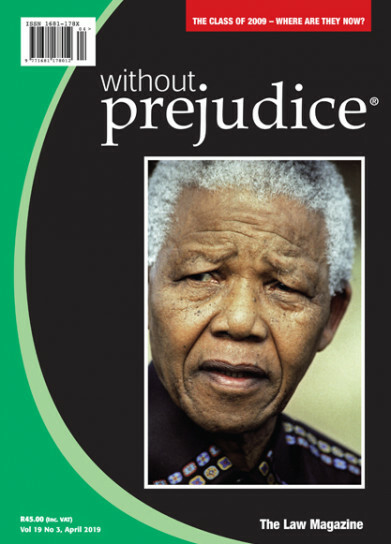 This edition of without prejudice looks back at The Class of 2009 with the pertinent question being "Where are they now?" Let's take a brief glimpse into the car market a decade ago and ponder on what happened to the concept cars, and also the headline grabbers of 2009. Just think, pre-2008 loadshedding wasn't a daily occurrence, in 2009 fuel was still R7.52 a litre, a loaf of white bread would only set you back R7.00, and the top of the range Mercedes C class (C63AMG) was a mere R791 000. So after I dried my eyes out and left a little piece of my heart in Gevrey-Chambertin, we were on the road to the Left Bank of Bordeaux. For years I heard about the famous Left Bank but I had no idea what to expect. I was a Left Bank virgin. I love going to a place for the first time. The anticipation of what's awaiting is palpable. Appointment as director: Corporate & Commercial – Kendall Keanly. Dispute Resolution – Kgosi Nkaiseng, Mongezi Mpahlwa and Tim Smit. Technology, Media & Telecommunications – Fatima Ameer-Mia. After decades together, two schoolteachers decided to split up. But as is often the case, the ending was so acrimonious that lawyers had to get involved and the matter went to court. For the frustrated judge presiding, however, it seemed pretty ridiculous that a court had to be involved in a squabble over how to "divide" four blankets, ten chickens and five turkeys. In a world where people can achieve so much with machines but are so inept at human relationships and tolerance, Islamophobic incidents in the UK have risen by almost 600% since the Christchurch terror attacks. The charity, Tell Mama, which records and measures anti-Muslim hate crime in the UK, reported 95 incidents in the week following the New Zealand massacre in which 50 people lost their lives. This represents a 593% rise from the week before and of these, 85 incidents used "languages, symbols or actions" which reference the Christchurch attacks. Tell Mama called on the government to "take concerted action through education, the criminal justice system, restorative justice and other means" to tackle anti-Muslim prejudice before "a long-term issue develops". The Runnymede Trust race equality think tank has also called on the government to take anti-Muslim prejudice seriously, warning that for far too long the "vulnerability of Muslim communities" had been underestimated by government and public authorities.